My Creative Existence: My April 2011 Classes at Pages2Scrap! Oh my goodness I can't believe it's April already! This year really is flying by! 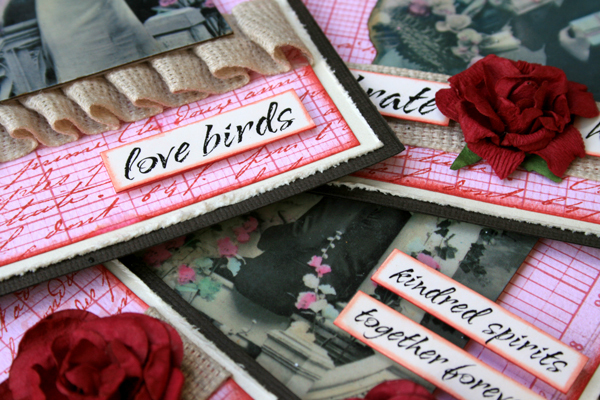 I'm here today to tell you about some classes that I have coming up this month at Pages2Scrap! I've taught this class twice already, and the ladies in each class have had a great time! But if you've missed out on attending either of those dates, there's still one chance left! Friday 8th April 2011 - 10:30am to 12:30pm. Cost $43.00 (includes kit). 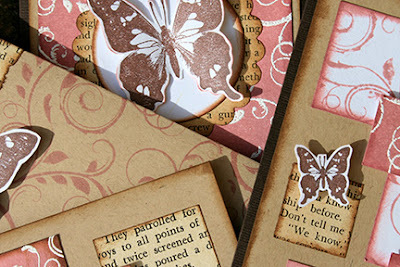 In the class we will be making 4 vintage inspired cards using the Flourish Background stamp from Darkroom Door, and learning a resist technique. Your very own Flourish Background Stamp plus the EZ Mount are included in your kit! Awesome value! In this class we will be creating 4 love inspired cards using the new Love Letters Photochips and Wordstrips from Darkroom Door. Sooooo pretty!! In your kit you will receive a full packet of Darkroom Door Love Letters Photochips - with enough beautiful images to make 6 cards! You will also receive a Love Letters Wordstrip, and all the cardstock, trim, and gorgeous flowers that you will need to make your cards. Saturday 16th April 2011 - 10:30am - 12:30pm - Cost = $30. Wednesday 20th April - 2011 - 10:30am - 12:30pm. Cost = $30. Both sets of cards are in store now if you'd like to check them out! To book, please call Pages2Scrap on 1300 664 228 or pop in and see us at Unit 4, 6 Morton Close (Corner of Gavenlock Rd and Morton Close), Tuggerah NSW 2259.
these are both soooo beautiful Sarah! Your students will have fun creating these gorgeous pieces!